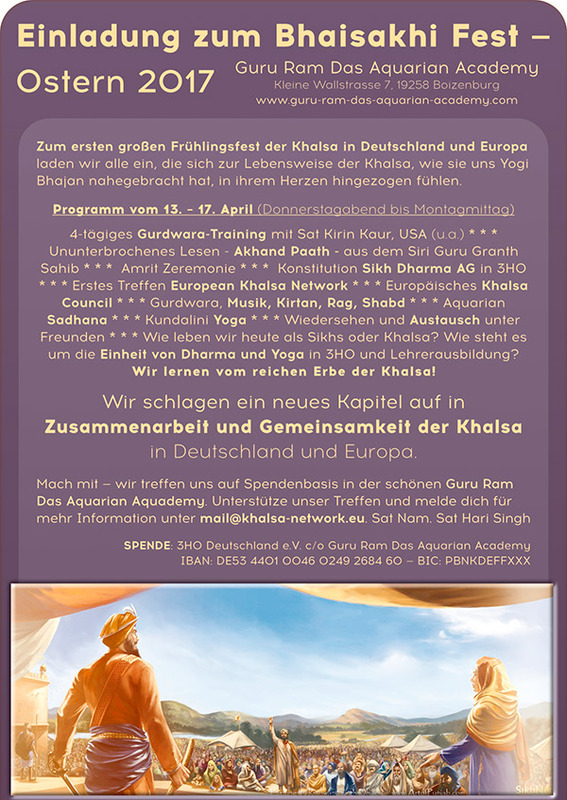 Sat Nam Sikhs, Yogis and people of love! Let`s rejoice, chant and vibrate the Shabd Guru. Spring has come, the season of Baisakhi. Winter is gone. Let`s get together in the joyful rememberance of our great legacy. Let us create our destinies. Event & tuition based on Donation. Accomodation at Hostels, B&Bs & Hotels needs to be booked seperately. Wahe Guru ji ka Khalsa – Wahe Guru ji ki Fateh. Klicke auf das Bild für eine größere Ansicht.